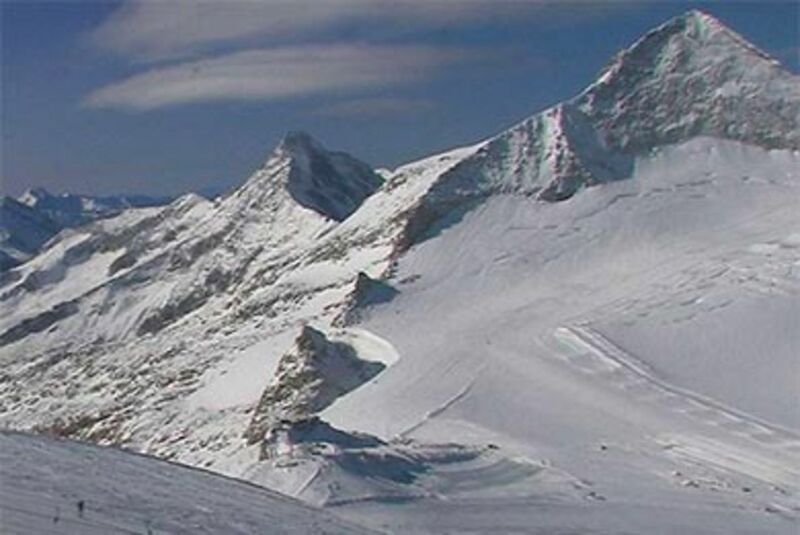 If you have been reading good things about the early snowfall in the Alps, it is no baseless rumour. This is sight greeting those exiting the top station at the Hintertux Glacier. The snow really has arrived and the peaks around Innsbruck are all white in the Autumn sun. 1 week ago the Stubai Glacier opened and the snow in the last week has reached down to the Gamsgarten. On the Hintertux Glacier the slopes down to the Tuxer Fernerhaus are deep in snow, offering a superb 590m of vertical – yes it really is September! There is more snow forecast for the later in the week, followed by a mixture of sun and cloud next week. Winter 2017/18 is up and running.